The auto financing process can be stressful, tedious and an overall hassle, except when you deal with Hillside Honda. Our finance department makes securing a car loan or lease in Jamaica, NY and the surrounding Queens, Long Island and Brooklyn area simple. We want to see our customers drive away in their newly purchased Honda or pre-owned car, so why create a headache of a situation? All you need to do is complete our online finance application, and we’ll do the rest. Leave the number crunching, figure counting and calculator plugging to the professionals and focus on what’s soon to be your new vehicle. Our new Honda dealership maintains a large portfolio of reputable auto lenders in the Queens, New York area, which allows us to offer some of the best financing in the area for qualified buyers, not to mention our great available vehicle specials and deals. 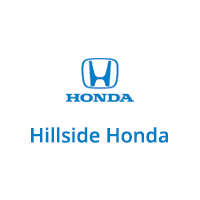 Start saving today at Hillside Honda in Jamaica, NY! Our financing professionals are ready to deliver financing options that you can afford and work with your budget. Stop in and learn about leasing and loan options. From low-interest rates, to affordable monthly payments, Hillside Honda will work hard to help you find a car loan or Honda lease that will best fit your budget and not break the bank. For more information, give us a call during normal business hours, or swing by our conveniently located dealership at 139-07 Hillside Ave.